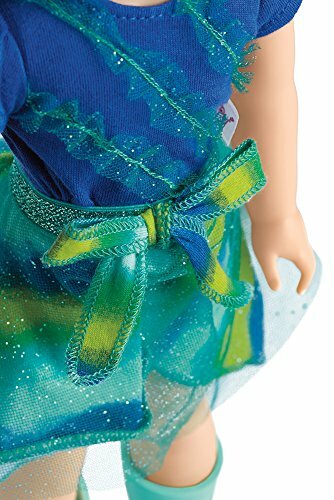 Camille adores the ocean-and she’s Mellow as a mermaid. She’s the one her friends turn to when they need someone to listen. 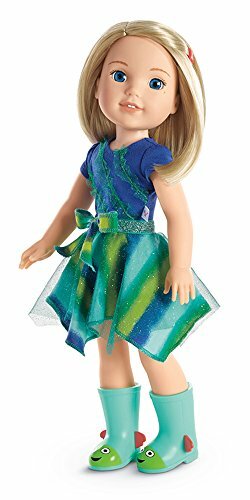 This 14.5″ (36.8 cm) doll is sized just right for younger girls. 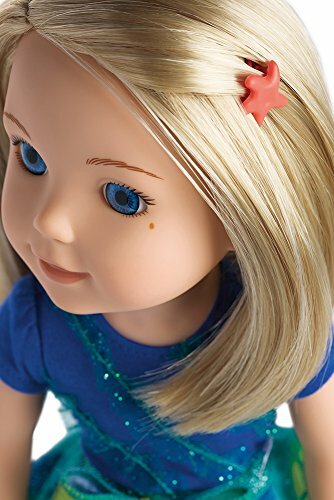 She has blue eyes, a freckle on one cheek, and silky blond hair that can be Brushed and styled. Plastic/vinyl. 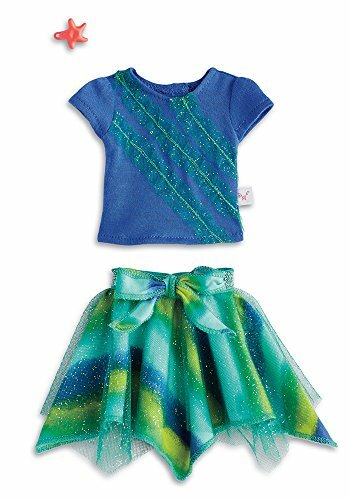 Includes: a deep-blue tee with glittery mesh ruffles, a tie-dye print skirt with a handkerchief hem, a glittery mesh layer on top, and a bow at the waistband, a coral starfish clip for her hair, light-pink underwear, blue wellie boots with red fins and smiley fish faces. 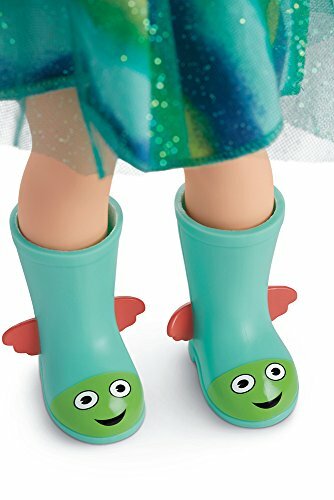 Collect all of your favorite welliewishers! 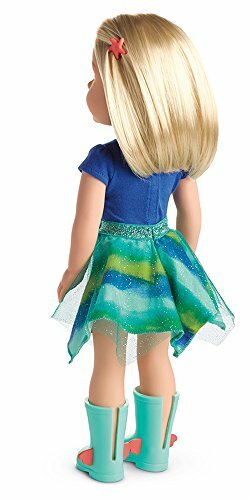 Be the first to review “American Girl WellieWishers Camille Doll” Click here to cancel reply.